The competition between Dragons and Scorpions is a fierce one that has been brewing for a long time. 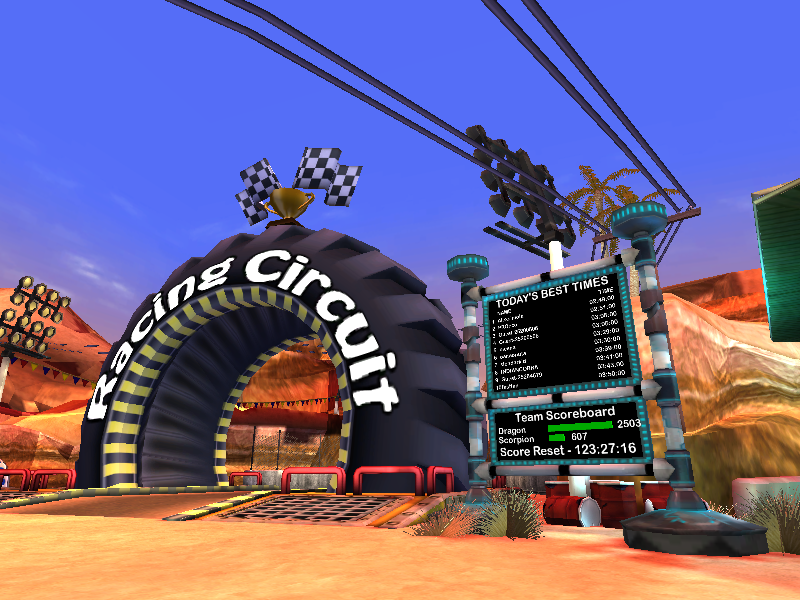 Racers inside the Eat My Dust world have to choose a side and decide who they will pledge their allegiance to. 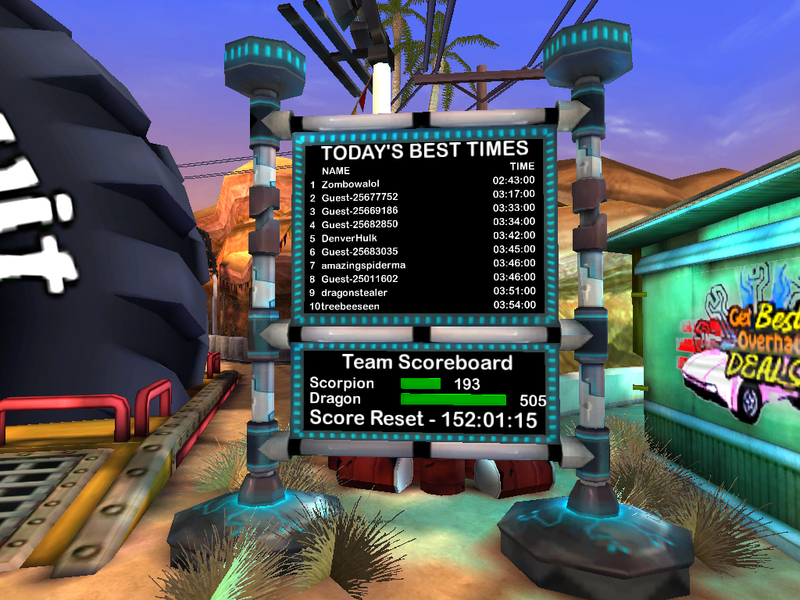 Once that decision has been made, destroying enemy racers is the name of the game. 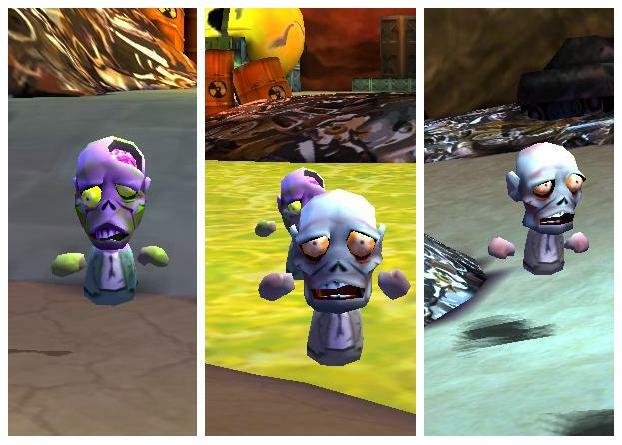 When driving around the main area in Eat My Dust, you will often come across enemy racers. In order to collect some much needed coins and show your opponent who’s boss, aim until your crosshair turns red and fire at your weapons to lower their health and eventually blow them away. 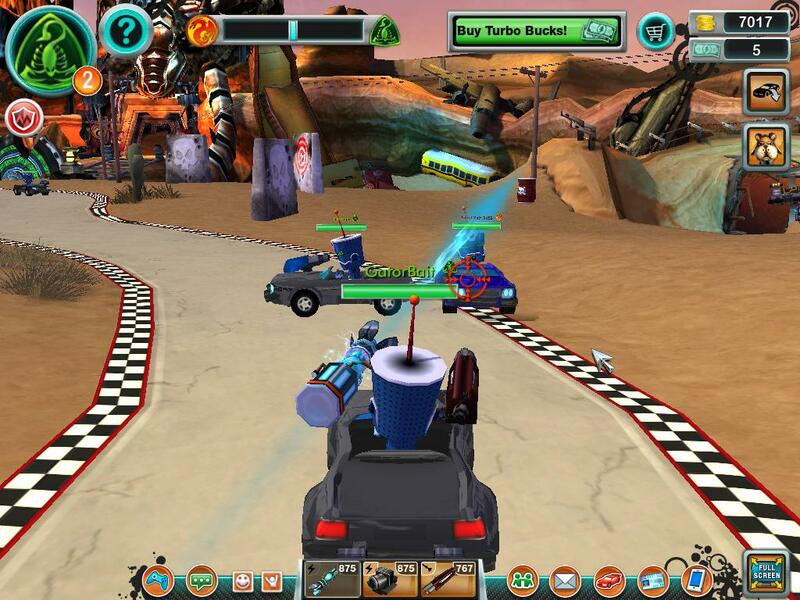 After you have destroyed an enemy racer, collect the coins that appear from their dissipated car. Be careful when shooting other racers because they may be on your own team! Look out for the “Friendly Fire” alert to avoid destroying your own teammate. 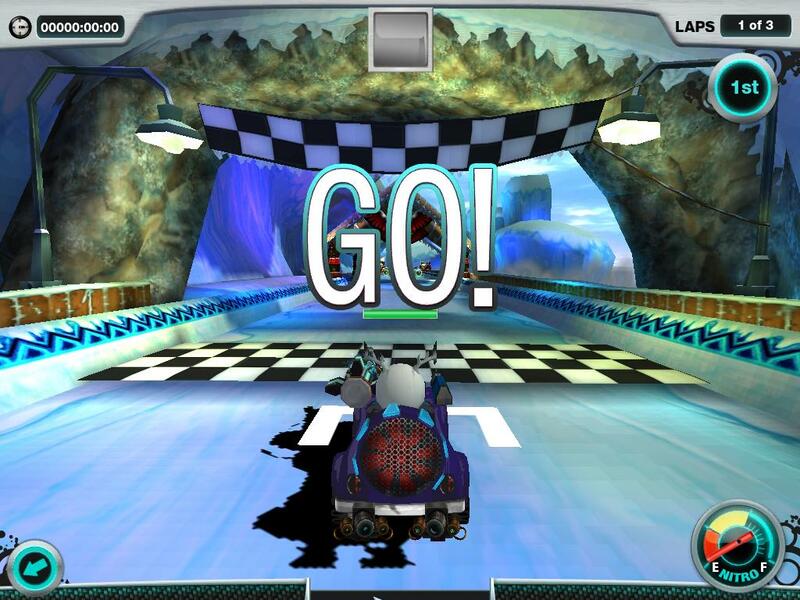 Once you have dusted an enemy racer, keep moving to avoid being locked in on and fired at by other players. Head inside now to start blasting away enemy racers and collect some serious coins to put towards building the ultimate dusting machine! 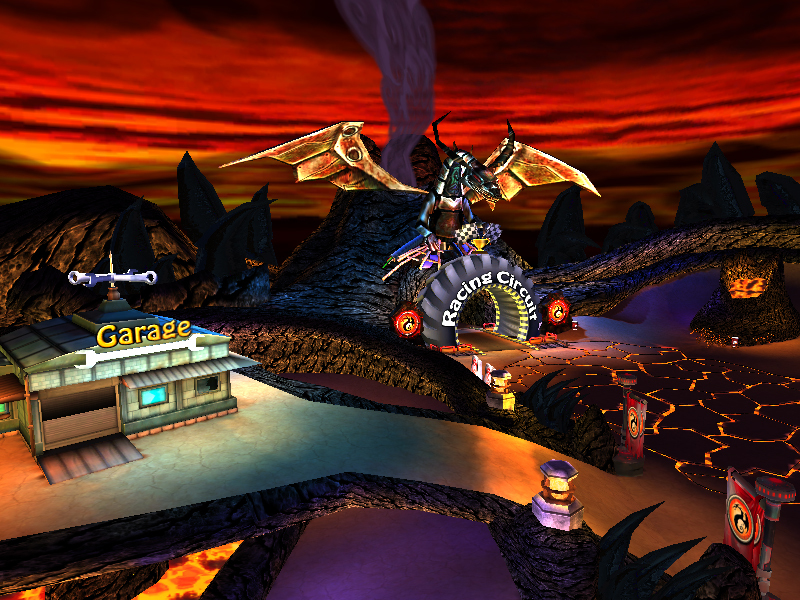 While a majority of the competition between the Dragons and Scorpions occurs on the racetrack, the battle continues beyond the Racing Circuit. As drivers from both groups encounter one another, engines roar and missiles fly as they seek to establish control of the Eat My Dust world. One key strategy to gaining the edge over your rivals is to know the Dragons’ and Scorpions’ bases inside and out. The team bases are the perfect place for players to meet up with their pals and discuss strategy on how to stay on top. The only thing to fear in your team’s homebase are the handful of Zombies that always seem to find their way in. But any skilled racer like you should know how to handle those types of challenges. Your team’s home base also gives you access to your 1 safe haven around the game, your garage! Invite friends over, work on your custom racing machine, or simply style the space to your super cool standards. The choice is yours! Not afraid of crossing enemy lines? 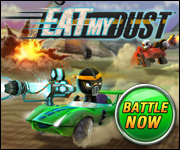 Show your rival racers what you’re made of by paying them a visit next time you’re cruising the streets of Eat My Dust!